Independent Bank once again puts their seal of approval on Trivia Night! So clear your calendar and call a sitter because Thursday, March 28 is the date. Please join us for a night of fun and fundraising for the students of McKinney ISD. Woody B's BBQ is committed and ready to deliver some amazing food and TUPPS promises the beer will not disappoint. 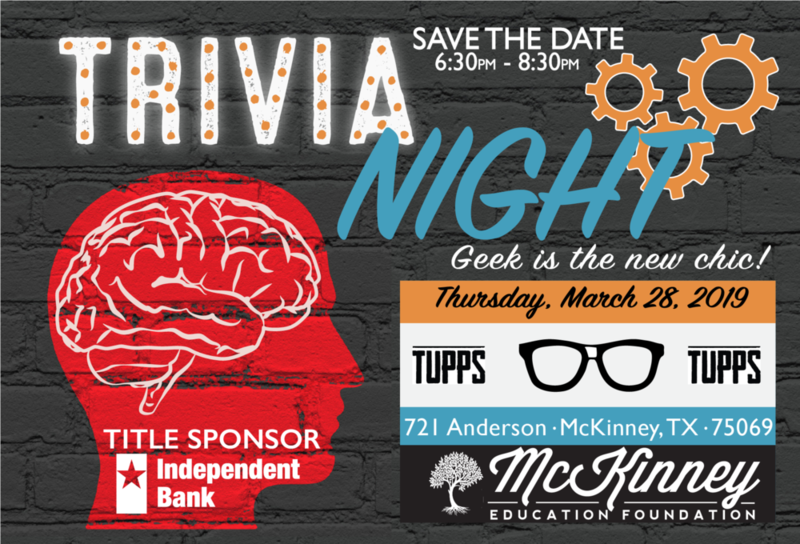 Will McKinney High be able to defend their title of "Geeked Out Gurus"? They sure think so (smack talking has already commenced). Tickets for the event go on sale Friday, February 15. To purchase your tickets visit www. mckinneyef.org. Please don't wait, this event SOLD OUT fast last year! McKinney North College Advisor attends Harvard. And the scholarship goes to…Ms. Tammi Saffell of McKinney North High School!!! Wait, what? McKinney North College Advisor, Tammi Saffell found herself being the one to apply for a pretty big scholarship earlier this year. While she typically helps students fill out paperwork and then anxiously waits a decision… it was finally her turn. The University…Harvard! To no shock and surprise – her request was granted. 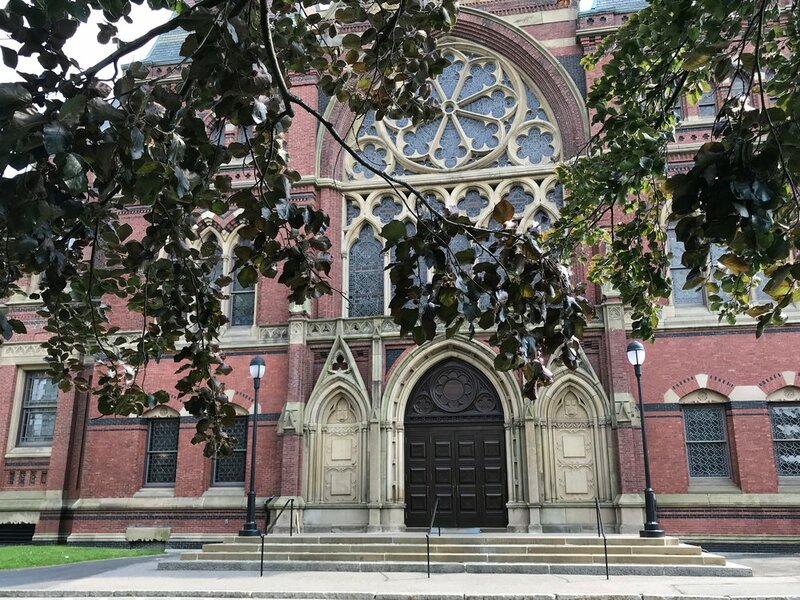 Tammi is currently spending the week in Bean Town at the Harvard Summer Institute on College Admissions. As exciting as it may be for her to step foot onto some amazing campuses (Harvard and MIT), her goal is to walk away with as much knowledge as possible for McKinney ISD students. She is getting some incredible insight as to how admission decision are made, how to bring the student to life in the application process, financial aid 101, managing student debt, first generation college student experiences and essay writing…just to name a few! We are so proud of Tammi and applaud all the greatness she brings to the McKinney Education Foundation and McKinney Independent School District! College Advisor at McKinney Boyd is a Big Deal! Congratulations to Cindy Monogue, McKinney Education Foundation College Advisor for McKinney Boyd High School. The University of Texas at Austin has named Monogue to the Counselor Advisory Board for the Dallas-For Worth Area. Monogue will be a valuable asset, providing input on ways the university can create a program that is worthwhile and productive for high school counselors. We are so proud of Cindy and McKinney Independent School District. To learn more about our College Advisors please visit https://www.mckinneyef.org/college-advisors/. McKinney North student wins $25,000 National Horatio Alger Scholarship. This particular scholarship equates to $25,000. With only 100 students across the nation receiving this honor each year, the young lady I’m interviewing is actually a big deal, let me rephrase that: The Real Deal.